This weekend, I finished up all my holiday shopping, so now I'm free to sit back, enjoy the egg nog, and hope my stocking gets filled with really good books. 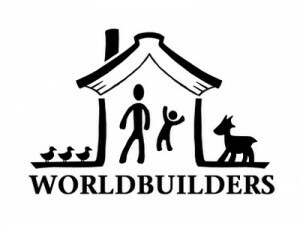 First of all, I would like to start by reminding everyone about Pat Rothfuss's annual Worldbuilders fundraiser. Pat collects wonderful books (including many signed copies) and other awesome prizes, and then has a lottery for anyone who donates to his team page at Heifer International. It's a great way, as Pat says, to "make the world a better place while winning fabulous prizes." The Kymera Magic Wand Remote Control looks like a really fun time. One review on Amazon complains that you actually have to learn the gestures, rather than just waving your wand in the general direction of the TV--for me, that would be a selling point, rather than a drawback. It would make it feel like I were actually doing magic! If you know someone who likes to knit, this collection of nerdy knitting patterns might be just the thing. The book contains patterns inspired by Firefly, Star Trek, the Lord of the Rings, and Harry Potter, to name a few. Shirt.woot.com has a lot of fun t-shirts--it's hard to pick which ones to buy. Some of my favorites (that are still for sale) include "Console Wars," "Little Bilby Goes for a Walk," and "After the Party." We blogged earlier this year about a proposed Firefly LEGO set, and while it never got officially licensed, the website Etadyne is doing the world a huge favor by assembling the kit as a custom order. You can even get the Firefly crew! While it looks like this set is backordered, and therefore won't be available for Christmas, there's another option--a smaller LEGO model of Serenity , which is available through Amazon. Just keep flyin'! Posters inspired by Stephen King's The Dark Tower series, including this one of Roland Deschain. There is a lot of wonderful steampunk jewelry available, including this ring from the shop Crimson Curiosities. The shop ReComputing takes computer parts and makes them into jewelry, including necklaces, earrings, cufflinks, as well as key chains. I actually have a necklace and a ring, and they're both beautiful and well-made. The Bookish Life makes jewelry from old books, including fantasy favorites like The Lion, the Witch, and the Wardrobe and Harry Potter. Think Geek always has tons of fun stuff--some useful, some not as much. While this sunflower pillow from Plants Vs. Zombies probably falls in the "not as much" category, this Star Trek door chime could actually come in quite handy in alerting you when you have visitors. Oh, and then there are Star Wars cuff links, including this R2D2 set . Of course, there are many books that can (and should) be given as well, and if I listed them all, I would go on all day. I'll stick to just one--if you know people who grew up in the 80s and who love video games, get them Ernest Cline's Ready Player One . They will get it and disappear for about two days--just enough time for you to finish off the Christmas cookies and the last of the egg nog. And if you have other ideas, please share them in the comments!